Our team had a great trip to Zimbabwe. God worked in ways we never dreamed imaginable. It was a life transforming experience for all of us. I'm still trying to process all that happened. Words never do justice to explain an experience. And pictures fall short as well. But here are a few shots of our trip with some brief commentary. 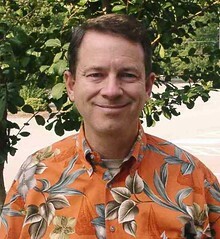 I'll try to do three or four blogs to give you a glimpse of what God did on this journey. 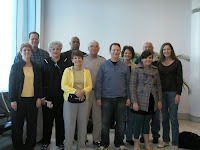 Our team from left to right: Cyndi, Jamie, Dana, Gary, Barbara, John, Ken, Cheryl, LeDoncie, Marvin, and Denise. On the way we had a few hours to tour some London sites. 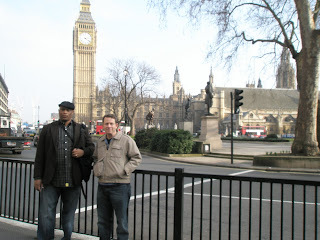 Gary and I are standing a few blocks from the famous Big Ben. The currency in Zimbabwe is wild! 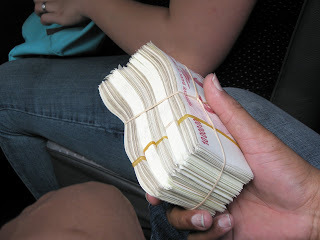 Below is a wad of cash that we used to buy some souvenirs from a market in Harare, the capital of Zimbabwe. Believe it or not, this stack of bills amounted to $5 billion. To keep things in perspective, after preaching on Sunday morning, the church presented me an honorarium of $126,000,000. As one of our team members said, "Finally, you're getting paid what you're worth." American value of the honorarium--about $15. 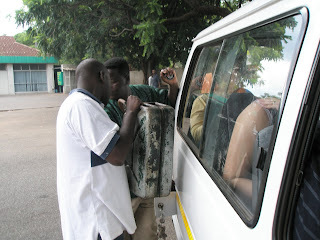 Getting gas in Zimbabwe was always an adventure. It is so scarce that it often has to be purchased on the black market. Below is a picture of two of our hosts, Farai and Ephesians (yes, that is his name. Seriously, he has a brother named Galatians), meeting on the street to transfer gas into the van. The main means of transportation is walking. The streets are filled with walkers, some bikes, and some vehicles--but mainly it's all by foot. 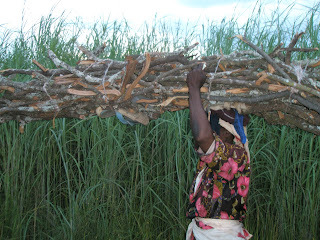 The shot below is a picture of a woman carrying a load of fire wood down a dirt road. We all prayed hard that Denise's missing luggage would arrive. A lesson in prayer. Be sure to pray in specifics. Her luggage arrived. The only problem--it was just the luggage and not the contents. So she had to buy her an outfit for church on Sunday morning. 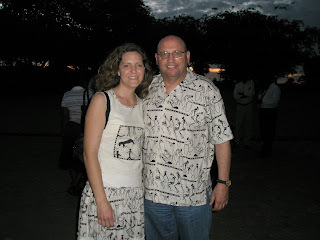 Marvin bought a matching shirt. Don't they look lovely in their native attire? On the next post I will get more into our actual ministry assignment.